World Cafe Travel Adventures went to Memphis and Clarksdale, Mississippi in October. 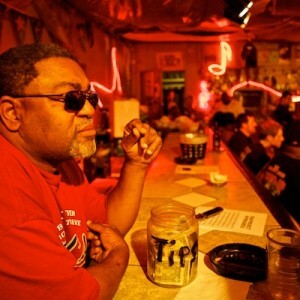 While in Clarksdale, as part of WXPN’s Mississippi Blues Project, we visited Red’s Lounge, a legendary juke joint featured in the documentary, We Juke Up In Here!. In the video below, Red Paden, the owner of Red’s, talks about the rich history of the club and the blues. Also featured is a performance from Robert “Bilbo” Walker.